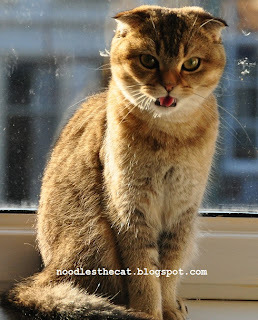 I IZ NOODLES THE CAT: Falsely accused!!! So some chicken iz missing, that doesn't mean I ate it!! See, i haz nothing! Ask the other human! !